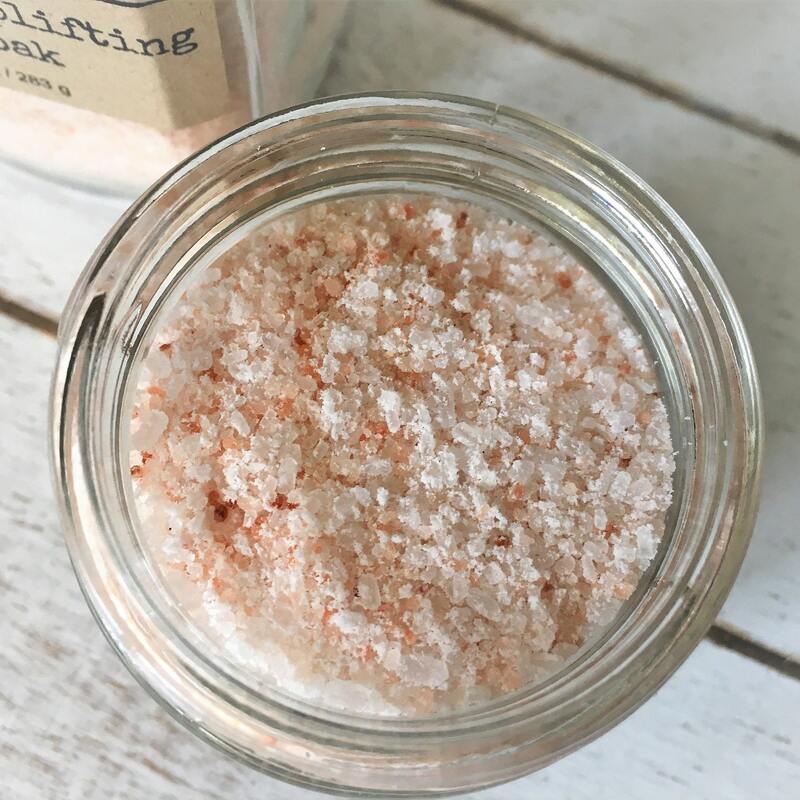 Soothe your body and lift your spirits with this luxurious blend mineral rich 100% pure Himalayan salt, noted for its ability to detoxify, cleans, heal and nourish skin, and pure magnesium sulfate (Epsom salt), known for its many health benefits and ability to soothe muscle and joint pain and promote relaxation. 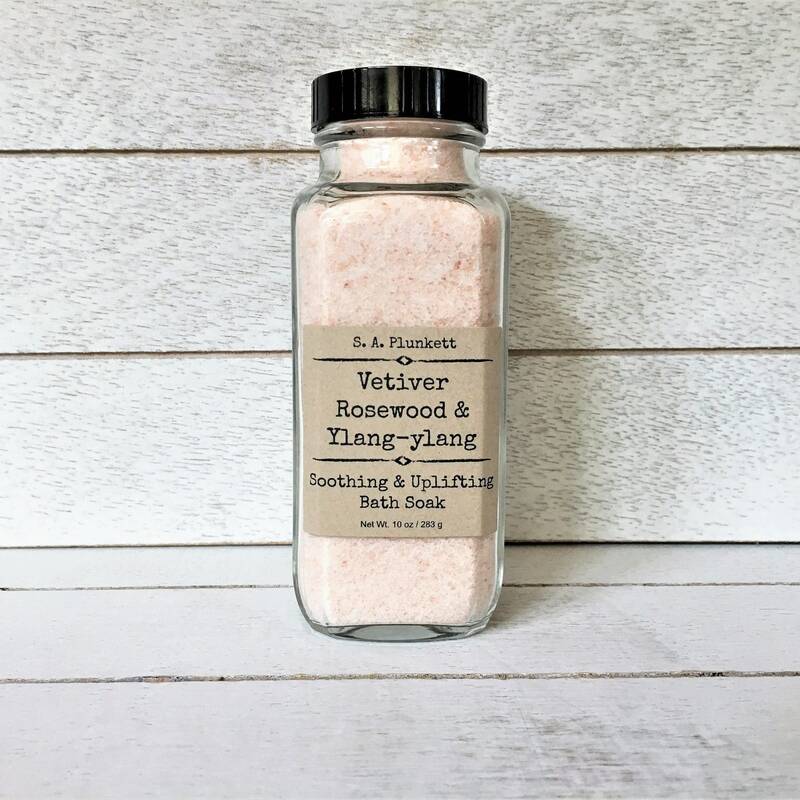 Blended with other natural, skin softening ingredients and pure essential oils, this mineral bath soak will provide soothing and uplifting relief for your body and mind. 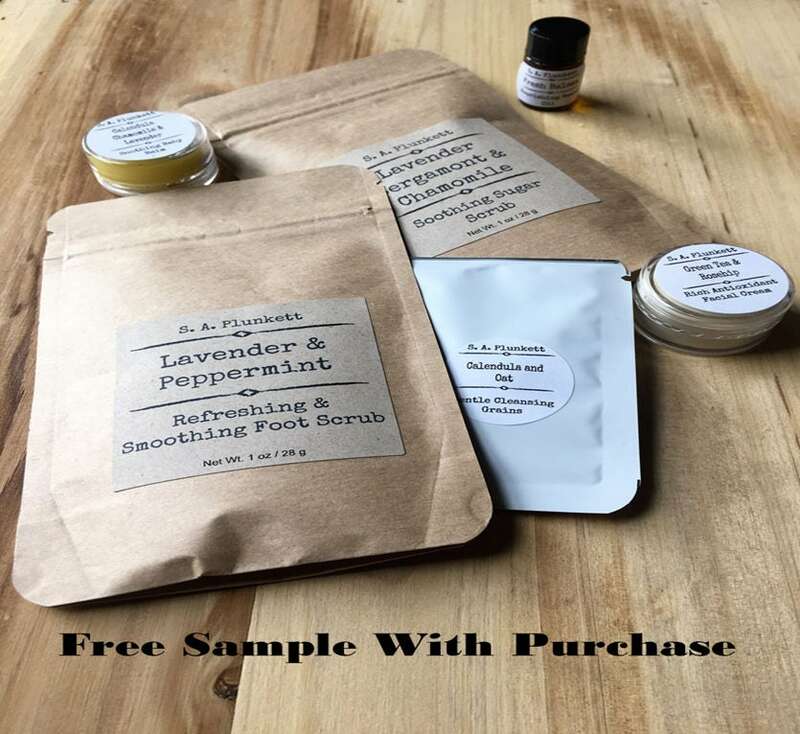 This bath soak also works well as a relaxing foot soak to ease painful or achy, tired feet. 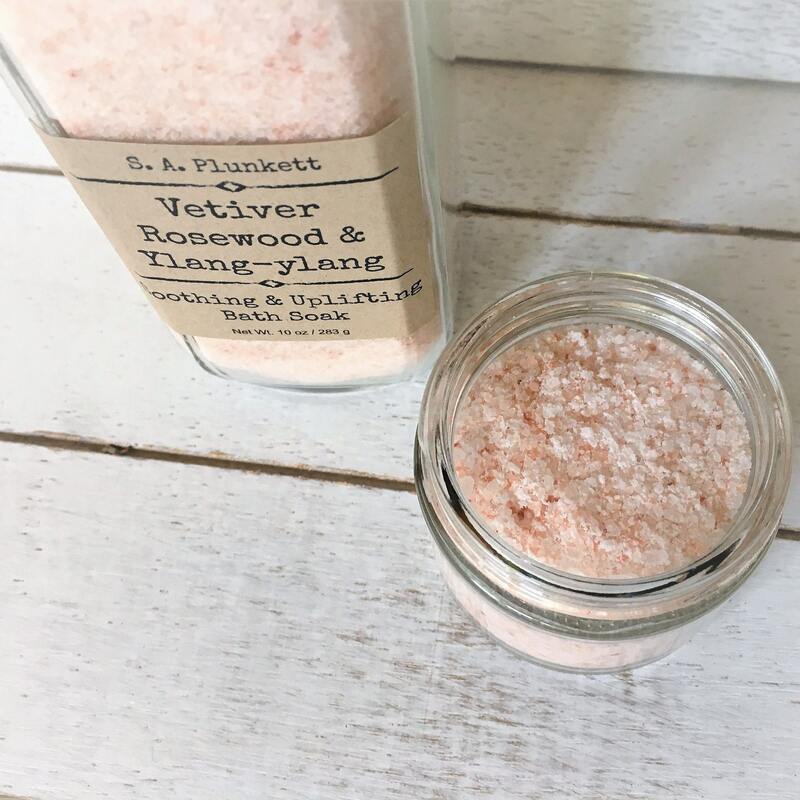 Unrefined Himalayan Pink Salt – Detoxifies, soothes and softens skin, replenishes minerals. Aniba rosaeodora (Rosewood) Essential Oil – Warm, woody, slightly spicy, sweet, floral aroma. 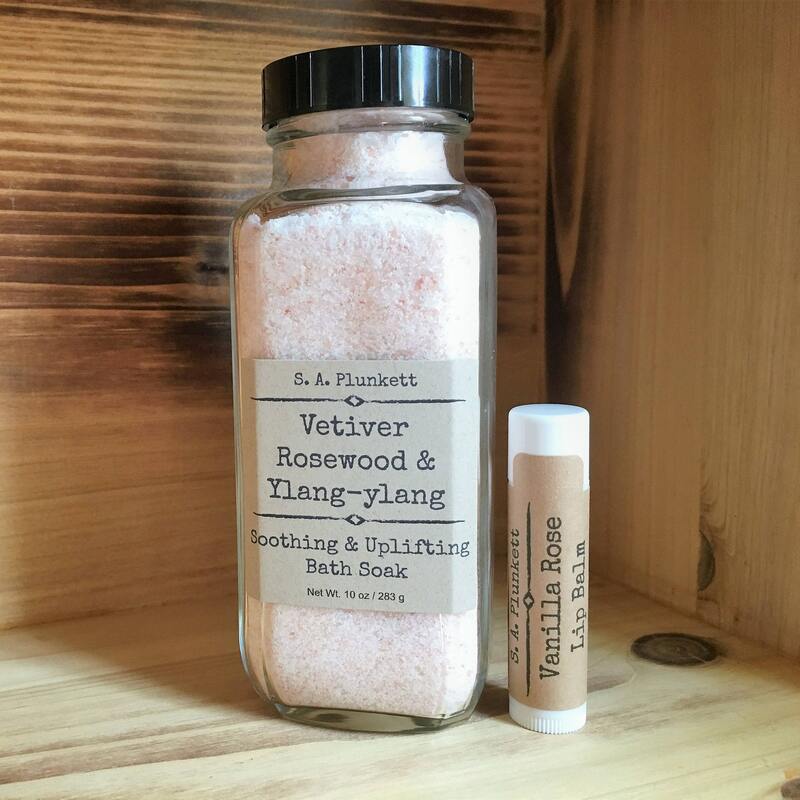 Sprinkle a handful under warm, running water and allow to dissolve. Alternatively, add to muslin bag and hang under warm running bath water. Avoid allowing water to enter the jar, as this can lead to spoilage. 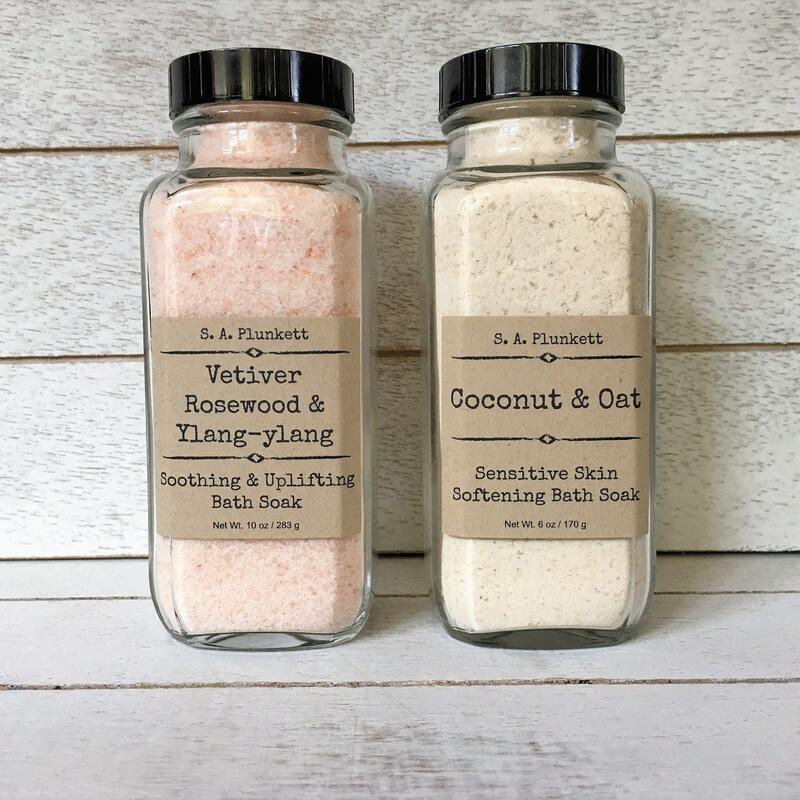 the oils in the bath soak may cause the tub or shower to become slippery.